Tom Gallagher Ltd - Bathrooms, Central Heating Engineer based in Worsley, Greater Manchester. 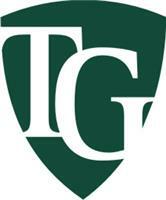 Tom Gallagher is a Ltd Company and has been established since 1989 and has grown from strength to strength. We carry out a various scope of works including, plumbing, gas, bathroom adaptations, joinery, solar and building works. All complete with free quotations.